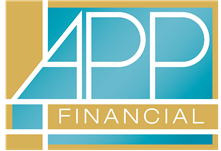 Since 1965, APP Financial has been providing retirement and financial planning to clients in Fort Wayne and the surrounding areas with a fully licensed, registered and highly experienced group of advisors and staff. APP Financial specializes in assisting people in the 55-plus age group manage wealth in preparation for retirement; then assist those clients as they enter the distribution and income phase of their retirement. We operate like family; one of our most distinguishing traits is how well we listen and how much we care, not only about a client’s finances, but also about their personal lives, interests, and their families. When you call our office, you will speak with someone who is not only happy to serve you, but knowledgeable and generous with their time.